Not *sure* about the charcuterie tbh. It has taken me almost an hour to get this up online because I am on my mum’s quite ancient laptop which feels like riding a dinosaur. So here’s the column and I’m off for a restorative piece of toast. Here’s a question for you as you tuck into your kippers: where and when in the world does the human being feel most furtive? Have a think as you dance around those fiddly little bones. Got it? Thinking of somewhere? It’s not much of a guessing game this, since you are there and I am here, so I’ll just come out with the answer: it’s while perusing the hotel breakfast buffet. It’s true, isn’t it? Up you spring to the buffet (having sat for the obligatory one or two minutes at your table to order coffee or tea), and there you stand – empty, faintly warm plate in hand – wondering how much you can take without looking like Billy Bunter after a hard Lent. I stood in the middle of the buffet at Gleneagles recently, a hotel which doesn’t muck about when it comes to the serious matter of breakfast. There, in a vast room overlooking the croquet lawn and the Scottish hills, was everything you could possibly want for breakfast and more. A juice stand, some weird charcuterie, the cheese table, multiple egg options, a pretty Harvest Festival display which, on closer inspection, turned out to be the pastry area and so on. I felt like David Attenborough, watching others around me. Because it’s proper jungle territory, a hotel breakfast buffet. A blonde woman in golf kit held a plate on which there were two pieces of green melon, a spoonful of meatballs and a mini blueberry muffin. The meatball sauce had run perilously close to the melon but she hadn’t appeared to notice. To my left, there was a gentleman who was clearly paying attention back in the day when the ‘Go to work on an egg’ maxim was being trotted out. On his plate were four kinds of egg – scrambled, boiled, a sole Egg Benedict on a little tartlet and a fried egg on a potato scone. Och aye laddie, don’t you worry about those insecticides. As for myself, I generally walk up to the buffet area feeling all furtive but I take my time, I saunter casually about as if I’m hardly hungry at all, trying my best not to look like a peckish lion who’s come within sniffing distance of some wildebeest. 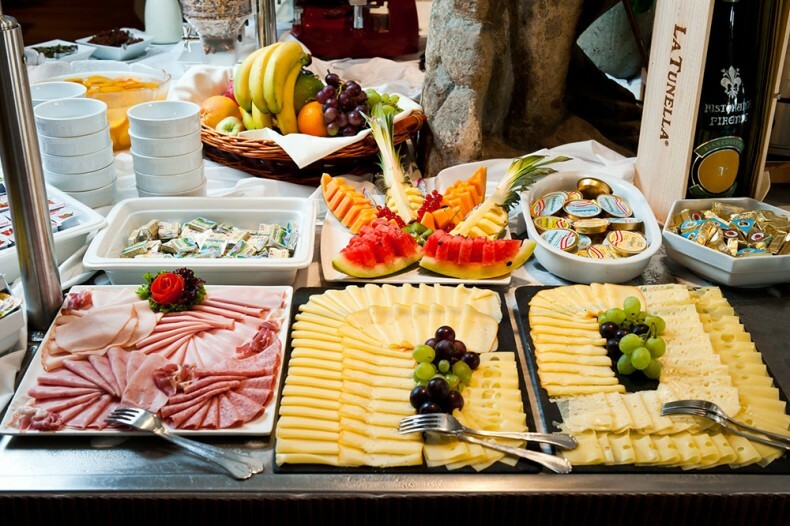 And I’ve come to the conclusion that there are two people in this life – those who put everything at the breakfast buffet on their plate all at once and those who don’t mind doing a few trips back and forth for several ‘courses’. I fall into the latter category because I don’t want scrambled egg juice to run into my Danish. So at Gleneagles I loaded up first with egg, tomatoes and mushrooms and a glass of green juice, then I went back for pancakes and bacon with maple syrup, then I went back again for a few dozen croissants and a different colour of juice. Wobbling back from the buffet area each time feels like the walk of shame but that’s why your table choice is vital. So pay attention because here’s what you do. When you first enter the dining room for breakfast, do not be cowed by a smiling waiter who tries to give you a nice table by the window with a view or anything like that. He is the serpent about to lose you the Garden of Eden. That table will be miles from the buffet area and that is no good unless you are the sort of wastrel who only visits the fruit section. Instead, march straight for the second-closest table to the buffet area. Got it? The second-closest. The closest table is a bit wanton and obvious. But the second-closest is like picking the second-cheapest bottle on a wine list. More subtle. From there, you can watch other guests panicking about whether to start with some cereal or pile straight into the hot stuff, you can see when they bring out more bacon and you can do several trips relatively unnoticed, which will fool everyone into thinking you are a civilised person who can be trusted with several kinds of egg.